A SNES emulator for the DS. My goal is to make rendering the most accurate possible, we'll see how far I can get. Considering the DS isn't powerful enough to handle a line-accurate software renderer AND emulate the CPU and other funny things at the same time, I have to emulate graphics using the DS hardware. Reproducing the functions it doesn't support (like per-tile priority or funky color effects) will be the challenge. How they will be emulated will also depend on how games use them. 100% accurate graphics emulation is impossible, but we'll do our best. 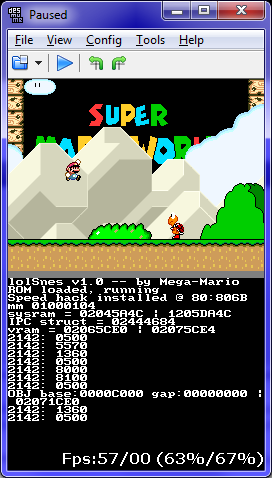 Place lolsnes.nds in your flashcart's root folder (or wherever DS ROMs are). In the same folder, create a folder named 'snes', and place your ROM in there, under the name 'rom.smc'. 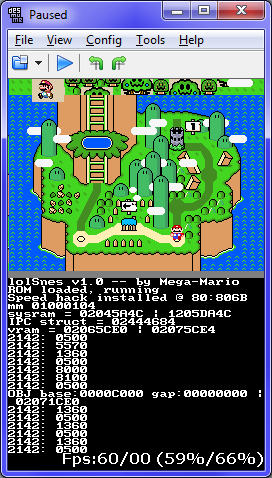 lolSnes is able to properly detect the ROM type in most cases. Headered and headerless ROMs are supported, both LoROM and HiROM. 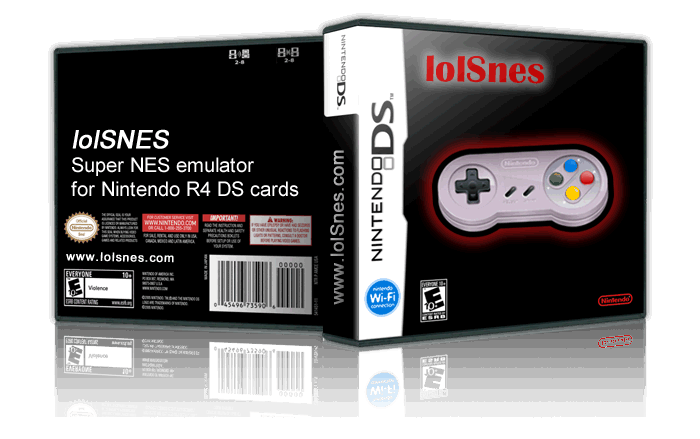 lolSnes isn't very exciting, though. Few things will run without entering an endless loop due to the lack of SPC700 support. * do to legal issues there are NO commercial SNES ROMs on this website. Use Google to find a lot of links to sites with games for lolSnes.